The Manhattan Corner L shaped couch provides the perfect blend of modern style and practical customisation. 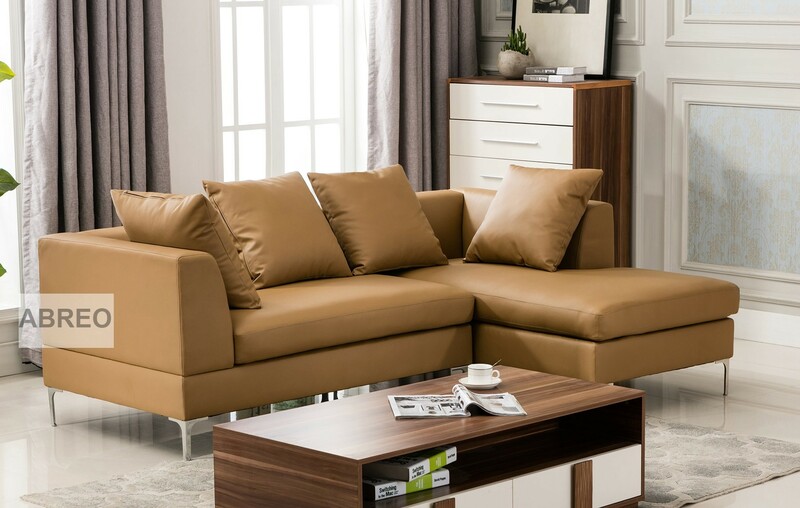 Using clic-clac technology, the 3 seat sofa combines with the luxurious chaise to create a corner sofa or they can be separated for individual use. Available in Camel or Grey PU Leather or the Arctic Silver Crushed Velvet. Supplied with shiny metal legs and four scatter cushions to match the design. Our standard UK delivery is included which is based on a next day service after dispatch (excluding Scotland and Ireland – surcharges apply see below). This is a curb side delivery - please inspect the box on arrival, if any visible signs of damage please write this on the acceptance slip to the driver. This item is flat-packed, requiring self assembly, e.g. attaching the screw on legs.